Mini Dakota Zero Smoke is an unscented odour eliminator that removes smoke odours, food odours, and more. It can be used directly on hair, clothing, and in the car. 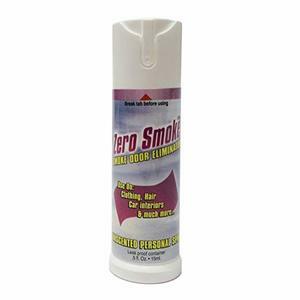 Zero Smoke completely eliminates smoke odours on clothing, hair, car interiors and more. The non-staining formula is safe to use on fabric, carpet and upholstery. This handy leakproof container can be carried in a bag, pocket or purse.